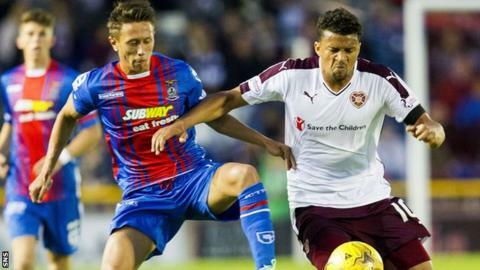 Saturday's Scottish Premiership game between Inverness Caledonian Thistle and Hearts has been postponed due to a waterlogged pitch. Discussions took place on Friday between the two clubs and Police Scotland as a result of the extreme weather conditions in the Highlands. And a final pitch inspection at 07:30 on Saturday confirmed the lunchtime kick-off would not go ahead. Caley Thistle pointed out there was a forecast of further poor weather.